In the past twenty years, the words “all natural” have become very important to people across America. Natural foods have become a very big business, with organic produce, meats, dairy products and many other food items being in very high demand. While they are usually more expensive, many people value their natural production methods and the positive impact they can have on their health and well-being. Clothing, personal care products and cleaning products have also joined in the “green” movement as we make every effort to avoid the use of harsh chemicals in our homes. We here at OxiGreen Carpet Cleaning and Repair in Langhorne, PA are very proud to say that as a carpet cleaning company, we embraced and joined the “green” movement many years ago. It is right there in our name, “OxiGreen”! At OxiGreen in Langhorne, PA, we use only 100% “green” cleaning agents in our carpet cleaning process. Our cleaners are produced from derivatives of the tea tree, a plant that has long been known for the antibiotic properties it possesses. These all natural tea tree extracts are totally biodegradable, which makes them completely safe for your carpets, your family and also for the environment. We never use harsh cleaning chemicals in our process, so there will never be any chemical damage to the fibers of your carpets or any toxic residue left behind. This is especially important to the members of your family who rest, relax, and play on the floor: your babies, small children, and pets. We hope you will give us here at OxiGreen a call to find out more about our company and our 100% green carpet cleaning. You may reach us at 215-269-3331 or online at http://oxigreencarpetcleaningpa.com. 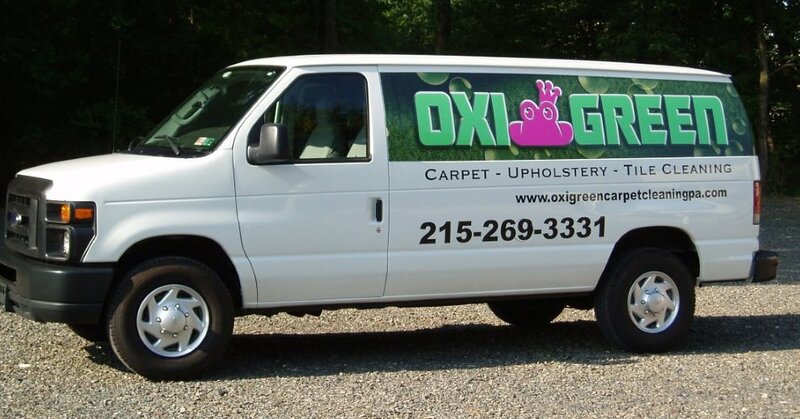 For an all-natural carpet cleaning, schedule an appointment with OxiGreen in Langhorne, PA today! With our 100% satisfaction guarantee, we know you will love the clean, super fresh, and amazingly fast drying carpets we leave behind.